Hello, hello! and happy new year! 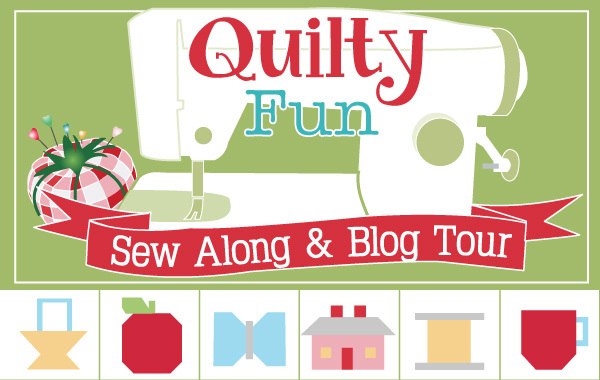 I'm back with the next stop on the Quilty Fun sew-a-long and book tour. There was a little break for Christmas festivities just after Pam's Cups blocks on week 7, but I'm back with week 8 to share with you my Tree blocks! You can find the PDF cutting instructions for these blocks here. These were a real pleasure to stitch, Lori's book is just delightful. Full of all the bright and happy projects you would expect from lovely Lori :) It features the famous Row Along Quilt; which we'll be making for this blog book tour, and ten coordinating projects (one of which I've made already!). It was great to read more about Lori and her work in the intro section, and how she started the Bonnet Row Along for her local church group as a beginner's quilt course, so they could practice the blocks over and over again, so clever! Oh, and the photo's - amazing. It's such a treat to see those beautiful vintage pink and aqua sewing machines up close! Now are you ready for a giveaway?! Fat Quarter Shop are kindly giving away two sets of the Bee In My Bonnet Ruler Sets, and a pack of the new Alphabitties! To enter, simply join us in our quilty fun and upload your tree blocks to the to the Flickr group. The winners will be announced on Monday 13th January on the Jolly Jabber blog. Aww Jesse…your trees are so sweet! I love your fabric choices and the photos are so lovely. I want/ NEED those rulers. I'm getting off the computer now to go sew me some TREES!. Hi Jessie. Please put my name in for giveaway as can see these being used all the time when cutting out. Love these trees. Your green cheery fabric is adorable! What line of fabric is that? Those are very cute trees!! I am looking forward to making a few! Love those trees. I would use them to border a quilt. How fun. Adorable fabrics in your trees! 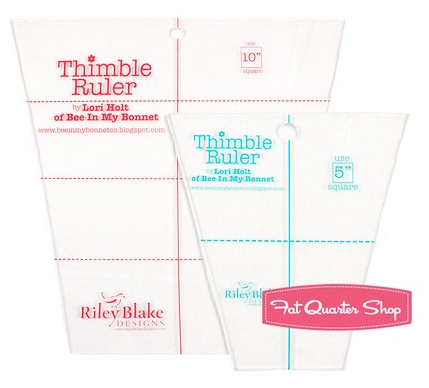 and the thimble rulers are way cool too! i've not tried that shape before and i think it would be awesome fun! Thanks for the opp to win! 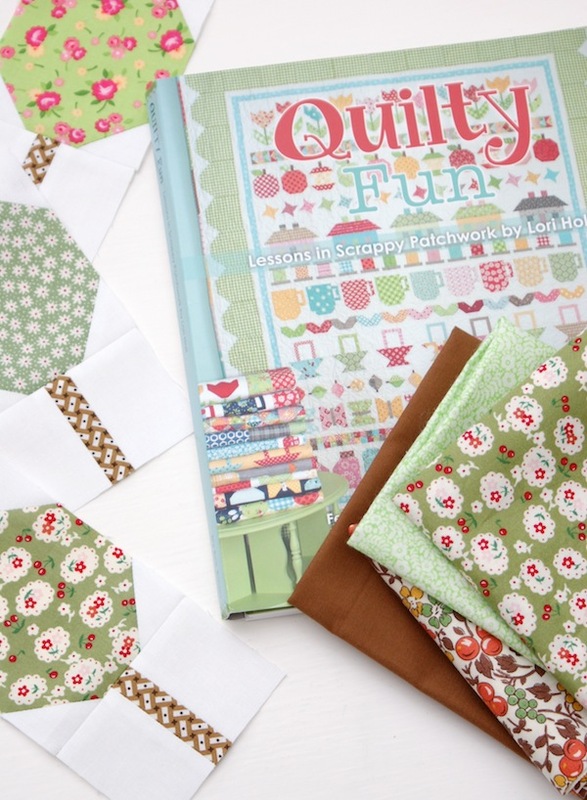 I love the row along quilt but I wish the book was available in the uk! I think an ebook would be good so people all around the world can enjoy it. Anyway, once I've got the book I'll be having a go at this quilt.